Promotors of Rockfest, held in Kansas City Saturday, May 14th, originally posted an announcement online that no motorcycle club colors would be allowed into the event. The Kansas Confederation of Clubs, National Council of Clubs, and concerned motorcyclists in Kansas immediately responded with a mobilized effort to change this discriminatory policy. 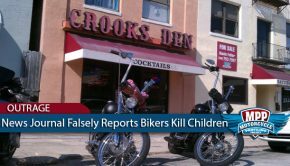 Within 24 hours of the announcement being posted, it was reported to the MPP that a member of the Kansas Motorcycle Club community talked directly to the promoters and made “convincing arguments” ultimately resulting in an agreement to lift the “no colors” ban. Following the announcement of a motorcycle club colors ban at Rockfest, the KCOC Spokesperson informed the MPP that he had sent an email to Bob Edwards, Program Director of 98.9 The Rock, the promoter of Rockfest. It was with some surprise that we in the Motorcycle Club community learned that Rockfest is imposing a ban on members of Motorcycle Clubs wearing their colors to your event. To our knowledge, this is the first time such a ban has been publicized; several members have stated that they observed colors from several area clubs at last year’s Rockfest. As far as we know, there were no incidents reported and no “tension” was evident as a result. Your website states that Rockfest is a “colors neutral” show. It further expresses The Rock’s “utmost respect for our local clubs” yet asks that we “leave the colors at home”. 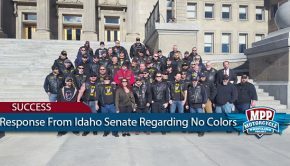 Being a “colors neutral” show is one thing, however, you cannot both have “utmost respect” for Motorcycle Clubs and simultaneously impose a colors ban. 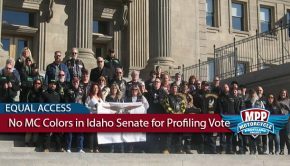 This ban is tantamount to profiling motorcycle club members based on how they look and prevents them from exercising their rights of free association and expression guaranteed under the First Amendment to the US Constitution. It is also a direct insult to Motorcycle Club members and shows the utmost disrespect to the entire Motorcycle Club community. The KCOC also sent the text of the letter to Worth Harley Davidson, one of the sponsors of the event. The KCOC was also in near immediate communication with COC representatives in Missouri and to every club that participates in the Kansas COC. The KCOC also had plans to send the text of the letter to every band that is scheduled to perform at Rockfest. 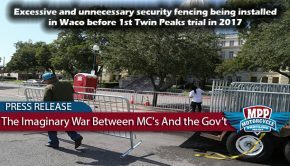 Finally, the KCOC posted text of the letter on the News portion of www.kscoc.net. In addition, the Chair of the Missouri COC also emailed Edwards multiple times during the day following the KCOC’s initial contact. Reports from the KCOC confirm that Rockfest lifted the ban during the event. 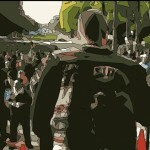 Motorcycle club members in their colors were visible throughout the event. Importantly, there were absolutely zero problems or incidents. The rapid mobilization of the motorcycle club community in Kansas in response to a blatantly discriminatory policy based on nothing more than stereotype is further testament to the power of grassroots movements to effect immediate change utilizing the democratic process. “At the very least, the recipients have a much better idea, I’m sure, of how such a ban goes over as well as a taste for how quickly and forcefully we can react”, says the KCOC. 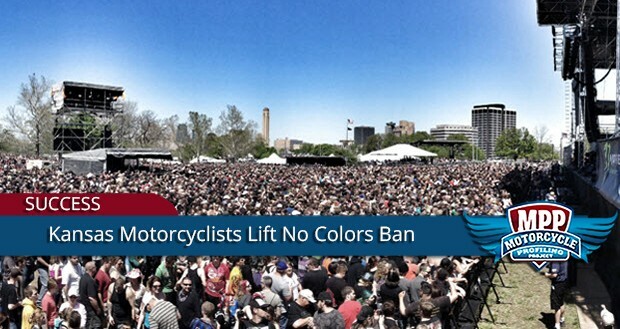 3 Responses to Victory For Kansas City Motorcyclists-Rockfest Lifts “No Colors” Ban. Personally witnessed 6 Clubs from both sides of the stateline present there. Everyone looked like they were enjoying themselves. No tension at all….. The motorcycle community should continue to redefine “the stereotype” about us, to be about how much money we spend at rallies and festivals. Ultimately, the almighty dollar will go a very long way in protecting our rights. My congratulations to the bikers of Kansas City for such a well orchestrated and coordinated effort against yet another ignorant attack against our rights!